There is no better gift or present for a little boy or girl than a balance bike. They are easy to ride, provide lots of fun and they are prefect for kids who aren’t ready for a pedal bike. Balance bikes are usually for children aged from around 2 years (depending on size) up to 5 or 6 years. Unlike any other balance bikes, the Wishbone bike evolves with a child’s different stages of development. It starts at age 1 as a trike, converts to a running bike as the child grows, and by four to five years old, the ‘wishbone’ frame is flipped, making the Wishbone Bike one of the largest balance bikes on the market. The generally run around $220 on Amazon. LIKEaBIKE is the perfect introduction to the world of cycling. 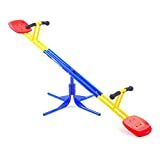 It’s specifically designed to complement the motor skills of young children, teaching balance and control at a much earlier age than traditional cycles with training wheels. Give your child the earliest opportunity to explore its environment and discover new worlds with LIKEaBIKE. ← Wooden or plastic playhouses?